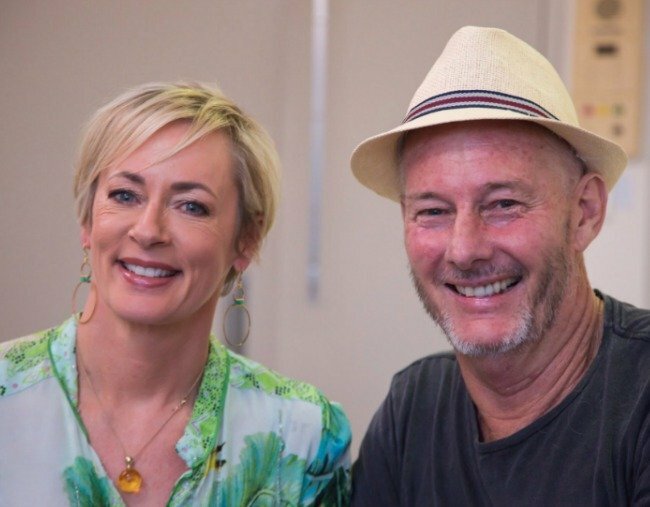 Barry Du Bois Amanda Keller and their beautiful friendship. "If love could fix the world, wouldn't that be an amazing thing?" Four months after revealing his cancer has returned for the second time, TV host Barry Du Bois has appeared on The Living Room in a moving segment with close friend Amanda Keller. Currently, the 57-year-old is on leave from the show while he receives treatment for plasmacytoma myeloma. Du Bois explained that he had been cooped up in his hospital room for the last two-and-a-half weeks, and had struggled with an infection in the days prior to Keller’s visit. He also said he has struggled being separated from his twins Arabella and Bennett as they started school this year, but said he had tried to prepare himself as best as possible for being hit with treatment. “Since the day I found out about this, and as you know, because you were one of the first people I told, I was really angry, but I said, this can’t be my time. This can’t be my time. So I just prepared myself as best as I could and I got myself physically fit, fitter than I have been in a long time, quite frankly. Watch Barry Du Bois’ emotional interview from Friday’s show. Post continues after audio. The beautiful relationship Keller and Du Bois share was on full display, as both spoke of how much they missed the other and the builder’s influence on the show. “The show is pumping along without you, but it’s not the same,” Keller said through tears. Du Bois didn’t disagree that it couldn’t.